The Bugaboo Comfort Wheeled Board ensures a smooth ride and allows parents to continue to move freely through their world. 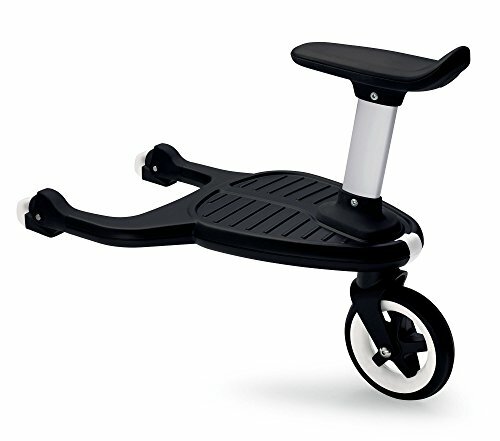 The comfort wheeled board is the perfect extension to the bugaboo stroller you already own and love. Smart design can be found in the board's flexible positioning, either to the left or right of the stroller, creating extra walking space for parents. A detachable seat offers the extra flexibility, as the toddler has the option to stand or sit. Adapter(s) sold separately.